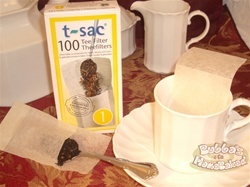 T-sacs are the ultimate combination of convenience and quality in steeping. Each filter is effectively a one-time use tea bag that you fill with your tea of choice. Size #1 is perfect for a single cup. They are also great for travel!